Why is Acorns Called Acorns? Let’s talk about spare change. You never seem to have it when you need it, and you never know what to do with it when you do. We lose pennies under cushions and car seats, store nickels in jars in the kitchen, hoard quarters for long-overdue laundry days. When we use debit and credit cards to make transactions, though, that spare change quickly becomes much less frustrating. We don’t fret over finding somewhere to put it or remembering where it was for the next transaction because it’s usually right where we left it. Or, if you’re into saving and have Bank of America, they’ll let you roll your spare change after every transaction into a savings account. If your latte was $3.50, the Keep the Change program will automatically move the leftover 50 cents into your savings, much like a digital-age piggy bank. Sure, 50 cents doesn’t sound like much, but when you consider how often you give in to the sweet call of the latte, it could add up to a serious stash. Acorns, an application launched in 2012 by Walter and Jeff Cruttenden, starts with the same premise. You connect your debit and credit accounts and once you make a transaction, it puts away your spare change. Only this time it doesn’t just go into a savings account. Acorns uses your small deposits to build an investment portfolio so not only is your spare change being saved, it also has the potential to be exponentially increased. Why is it called Acorns? Once your investment pile starts growing, Acorns spreads it across a diversified portfolio. Each of the six basic index funds are weighted by your risk profile, which you control through the mobile app. Ultimately you decide how much money Acorns invests into small and large stocks, real estate, or government and corporate bonds. In return, all they ask is a $1 monthly fee for accounts with less than $5,000 or .25% per year for accounts greater than. According to Time Money, “the average account holder contributes $7 a day through lump sums and a total of 500,000 round ups. 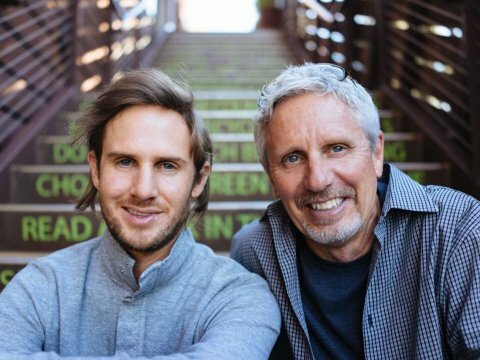 Cruttenden [himself] says he is a typical user and through rounding up his card purchases has added $521.63 to his account over three months.” With strong signs of early growth, it shouldn’t come as a surprise that the startup raised $23 million in Series C funding earlier this year. 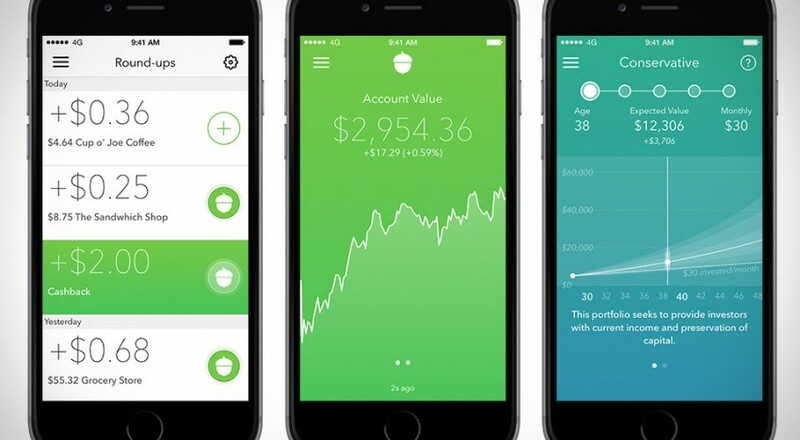 Although the app is only available now for iPhone and Android in the U.S., Acorns is hinting at plans for global growth. You could say they are just now planting the seeds.